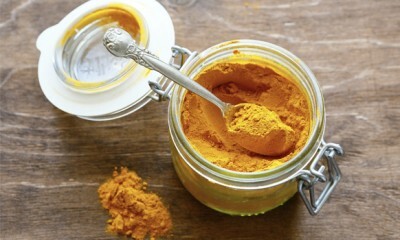 Just one gram of turmeric added to breakfast could help improve the memory. The finding has particular significance given that the world’s ageing population means a rising incidence of conditions that predispose people to diabetes, which in turn is connected to dementia. Early intervention could help to reduce the burden, whether by halting the disease or reducing its impact, said Emeritus Professor Mark Wahlqvist, from the Monash Asia Institute at Monash University. Professor Wahlqvist recently led a study in Taiwan that tested the working memory of men and women aged 60 or older who had recently been diagnosed with untreated pre-diabetes. “Working memory is widely thought to be one of the most important mental faculties, critical for cognitive abilities such as planning, problem solving and reasoning,” he said. In the placebo-controlled study, subjects were given one gram of turmeric with an otherwise nutritionally bland breakfast of white bread. Their working memory was tested before and some hours after the meal. “We found that this modest addition to breakfast improved working memory over six hours in older people with pre-diabetes,” Professor Wahlqvist said. Turmeric is widely used in cooking, particularly in Asia. Its characteristic yellow colour is due to curcumin, which accounts for 3 to 6 per cent of turmeric and has been shown by experimental studies to reduce the risk of dementia. “Our findings with turmeric are consistent with these observations, insofar as they appear to influence cognitive function where there is disordered energy metabolism and insulin resistance,” Professor Wahlqvist said. The study, which was published in the Asia Pacific Journal of Clinical Nutrition, also involved a number of research institutes in Taiwan.